Preheat oven to 200°C (400°F). 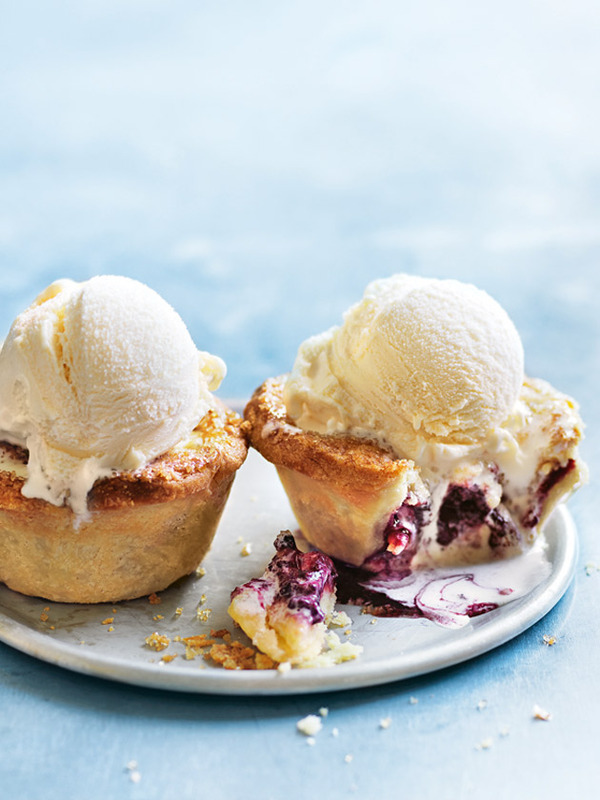 Place the blackberries, cornflour, sugar and vanilla in a small bowl and mix to combine. Cut out 6 x 11cm rounds from the pastry and use to line the bases of a lightly greased ½-cup capacity (125ml) 6-hole muffin tin. Divide the filling between the pastry cases. Cut 6 x 7.5cm rounds from the remaining pastry. Brush the edges of the larger pastry rounds with egg and top with the lids. Press the edges together to seal. Brush the tops with egg and sprinkle with coffee sugar. Using a small sharp knife, cut a slit in the top of each pie. Cook for 25–30 minutes or until golden brown and pastry is cooked through. Serve with ice-cream. Makes 6. + You can find coffee sugar in the baking aisle of many supermarkets.